Lets see if this works. How about this one? Name that song. well All Right how about something rather different?? Congratulations on a most interesting and challenging topic SM.I immediately thought of a number of favo(u)rite puzzle pics from the most wonderful wedding present we could have hoped to receive back in 2000.
as its URL reveals is a pic of Yarmouth and presumably the remains of its castle.You should have been more subtle Violet and followed Laurel's perfected practice of saving the pic and uploading it to Sidney's Gord Home Page then creating a "notlong" replacement address as a disguise. Never Mind he/she who hesitates is lost eh?? sheesh John. Don't use me in your constructive criticism examples. lol. It doesn't take a rocket scientist to hazard an inspired guess. So tada tada I'll go for Carefree Highway!! SM Now howsabout you guessing my puzzle pic of the quilt square?? and Walter if you ain't got a new camera yet and want to emulate my "under the CFH sign" pic you had better do so PDQ as it looks like they might be planning to widen Interstate 17 and incorporate a flyover etc at that very place then what sort of sign wiil you be able to pose under??? Same applies to our Laurel and others with that ambition!!! Yes John it's the famous Carefree Highway. I will guess "Too Late For Prayin'" for the quilt. I'm with Joveski on this one. 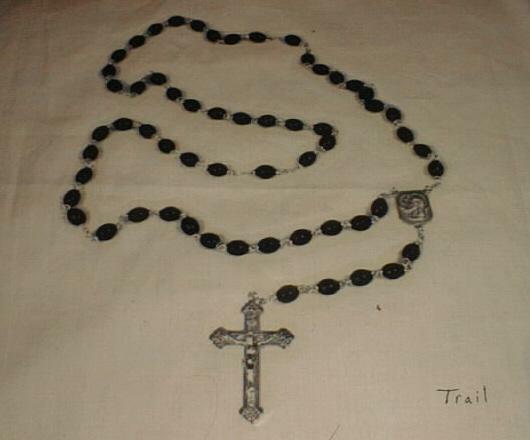 for the quilt, I'm guessing Something Very Special, since it's the only one I know of with a rosary in it. this may be a out-to-lunch guess, but is it Don Quixote? could it be, uh, maybe Song For A Winter's Night. if it isnt that, then i'm stumped for the time being. so I take it this picture represents the whole song, not just the title? have the rules changed then? could be The Mountains and Marian, but that's an awfully manly Marian...hmmm. Violet! Is yours Couchiching? No,seriously! Yes LSH it is Maryann. She is a bit on the "manly" side! Okay,I know I've got this one..."Big Blue"! I still don't know about that "Mountains and MaryAnn" answer though. I think mine made more sense but hey...that's just me!